Pets are great company and can become very dear to us - especially dogs. Have you ever been abroad or simply away on business or vacation and missed your dog to bits? Well, so have I and this blog illustrates perfectly what it's like. 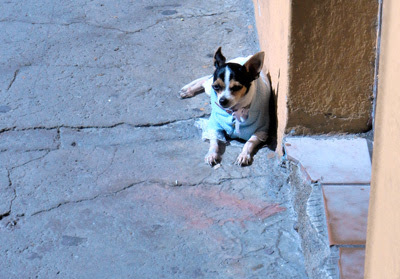 This post is written by a woman who visited Puerto Vallarta and missed her dog so much that she took some original pictures of "The Dogs of Sunny Puerto Vallarta". See what she has to say about Mexican dogs and laugh at what substitutes she comes up with!